Wiesberger led after a birdie at the 15th but a bogey at 17 and three late Luiten birdies turned things around..
Andrew Johnston also posted a 65 to secure his second best result of the season while there was not so good news for some of the Ryder Cup side; Lee Westwood (4th) shot a best-of-the-day 63, Matt Fitzpatrick (T7) had a 64 (he opened with a 75 and still finished -10) while defending champion Danny Willett (T12) also fired a 64. Equipment: What’s in Joost Luiten’s KLM Open-winning bag? 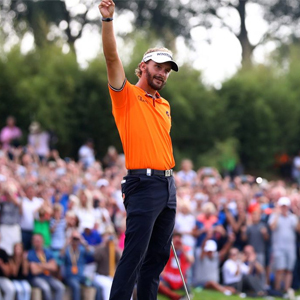 Joost Luiten made it a second career home victory at the KLM Open with a magnificent final round of 63 to win by three shots ahead of Bernd Wiesberger. He relied on a mixed bag of equipment including his reliable M1 driver,Titleist 716 CB irons and a Scotty Cameron prototype putter. The Dutchman made 10 birdies to clinch his 5th win on Tour, and continues his great form this season where he has had eight top 10 finishes.